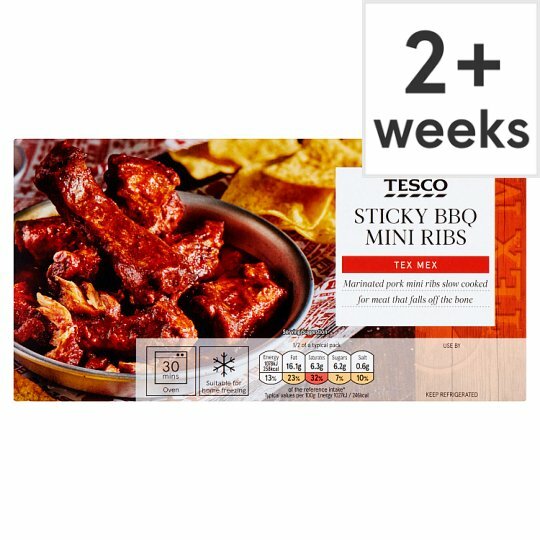 Slow cooked pork mini ribs in a barbecue flavour sauce. Instructions: 200oC/Fan 180oC/Gas 6 30 mins Decant contents of the pouch into an ovenproof dish and cover with foil. Place in a preheated oven for 30 minutes. Stir half way through heating time and re-cover. Warning: This product will contain bones.Caution: Take care when uncovering dish as product will be hot and steam may escape.